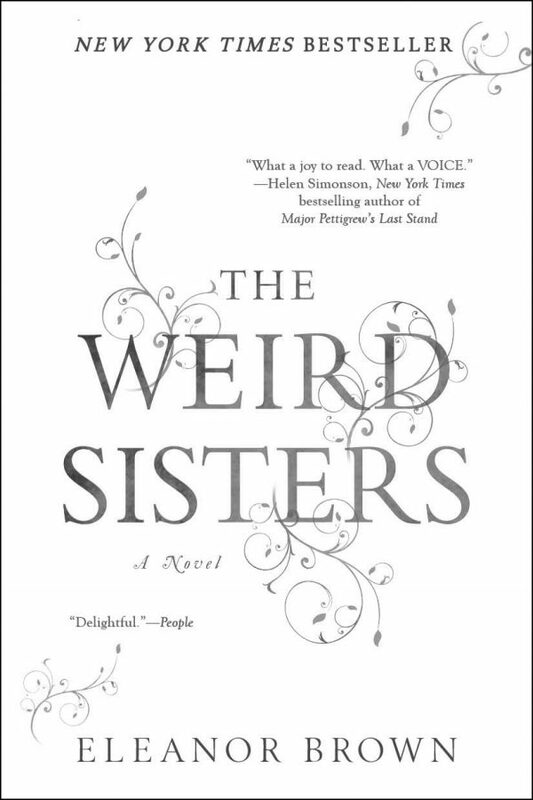 In 2014, my aunt gave me a book called, “The Weird Sisters”At first glance the book doesn’t really grab your attention, nothing stands out about it and if you judge a book by its cover (like most people do), then this one would most definitely be left on the shelf to collect dust. Although it says, “New York Times Bestseller,” above the book’s title, I was still skeptical that this claim was genuine, as it seems to me that every other book has that stamped on it. At the time in 2014, I was living in a new town and a new home that had neither cable nor Wi-Fi and under these circumstances reading the dictionary would’ve sufficed, but thankfully I had “THE WEIRD SISTERS” and NOT the dictionary. The reference weird sisters come from Shakespeare’s play Macbeth, and the word weird for Shakespeare meant something closer to “fate”. The story centers around the three main characters, those being the weird sisters: Rosalind (Rose, the oldest), Bianca (Bean, the middle), and Cordelia (Cordy, the youngest). The father of the weird sisters, a Shakespearean scholar who speaks mostly in verse throughout the book, named each of his three daughters after one of Shakespeare’s famous heroines. But it is when the sisters return to their childhood home, supposedly to care for their mother who was diagnosed with cancer, but in truth: one is running from her problems, another is compelled to return after her life is left in shambles due to her poor choices. This book was everything to me from start to finish, engaging, thought-provoking, and with well-drawn out characters. What I liked most is how the author Eleanor Brown entwined so much of Shakespeare’s original words so effortlessly, before this book “To be, or not to be,” was the extent of my Shakespeare vernacular. In general, this belated coming of age story will resonate with readers because it ultimately is a story about identity. And though there is no exact age given we can presume that these sisters are in their twenty-somethings teetering on thirty- somethings. The perfect age to ponder and at the same time regret: who we are, and whether we can change, and how, no matter what path we take, life has a way of bringing us back full circle to the truth, whatever that may be. Personally there were some uncomfortable moments for myself, like seeing what I like least about myself written on a page… or two. Overall I truly enjoyed this book and over the years, I still feel myself being drawn back to the story of the three weird sisters. If you have sisters like me, you will treasure this book and like me most likely will be comparing yourself and others to “The Three Weird Sisters”, to confirm which one you are. A forewarning for anyone wanting to pick up the book, it does deal with adult themes and language.